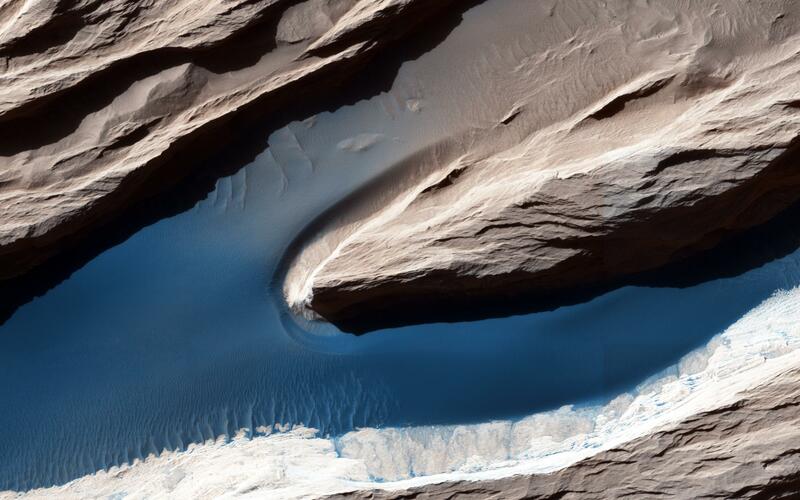 Salty water just below the surface of Mars could hold enough oxygen to support the kind of microbial life that emerged and flourished on Earth billions of years ago, researchers reported. In some locations, the amount of oxygen available could even keep alive a primitive, multicellular animal such as a sponge, they reported in the journal Nature Geosciences on Monday. "We discovered that brines" - water with high concentrations of salt - "on Mars can contain enough oxygen for microbes to breathe," said lead author Vlada Stamenkovic, a theoretical physicist at the Jet Propulsion Laboratory in California, United States. "This fully revolutionises our understanding of the potential for life on Mars, today and in the past," he told the AFP news agency. Up to now, it had been assumed that the trace amounts of oxygen on Mars were insufficient to sustain even microbial life. 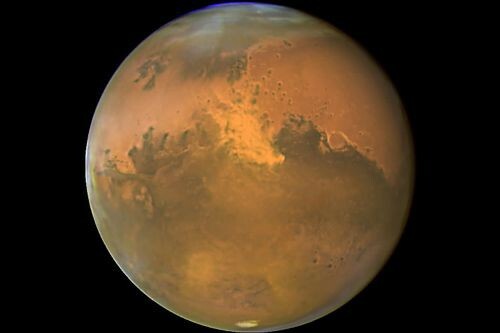 "We never thought that oxygen could play a role for life on Mars due to its rarity in the atmosphere, about 0.14 percent," Stamenkovic said. By comparison, the life-enabling gas makes up 21 percent of the air we breathe. 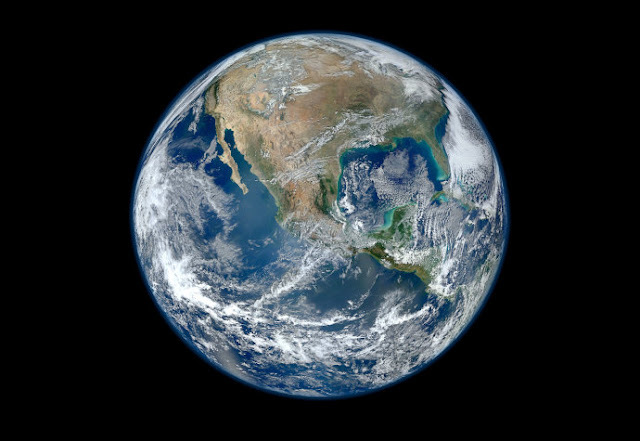 On Earth, aerobic - that is, oxygen-breathing - lifeforms evolved together with photosynthetic lifeforms, which convert carbon dioxide (CO2) into oxygen (O2). The gas played a critical role in the emergence of complex life, notable after the so-called "Great Oxygenation Event" some 2.35 billion years ago. But our planet also harbours microbes - at the bottom of the ocean, in boiling hot springs - that subsist in environments deprived of oxygen. "That's why - whenever we thought of life on Mars - we studied the potential for anaerobic life," Stamenkovic. The new study began with the discovery by NASA's Curiosity Mars rover of manganese oxides, which are chemical compounds that can only be produced with a lot of oxygen. Curiosity, along with Mars orbiters, also established the presence of brine deposits, with notable variations in the elements they contained. A high salt content allows for water to remain liquid - a necessary condition for oxygen to be dissolved - at much lower temperatures, making brines a happy place for microbes. Depending on the region, season and time of day, temperatures on the red planet can vary between minus 195 and 20 degrees Celsius. The researchers first devised a model to describe how oxygen dissolves in salty water at temperatures below freezing. A second model estimated climate changes on Mars over the last 20 million years, and over the next 10 million years. Taken together, the calculations showed which regions on the Mars that are most likely to produce brine-based oxygen, data that could help determine the placement of future probes. "Oxygen concentrations [on Mars] are orders of magnitude (several hundred times) greater than needed by aerobic, or oxygen-breathing - microbes," the study concluded. "Our results do not imply that there is life on Mars," Stamenkovic cautioned. "But they show that the Martian habitability is affected by the potential of dissolved oxygen."